Art librarianship generally seems to be thought of as a practice within the context of the academic library or museum. However, there is definitely a place for the arts in the public library! Public libraries provide community space for performances, exhibitions, and creative workshops. A 2017 article in the Huffington Post highlighted some ways in which public libraries across the country support the arts. I wanted to learn more about this intersection (as someone unexperienced in public librarianship) by looking closer at my own public library, the Ann Arbor District Library (AADL). I interviewed Mariah Cherem, a Librarian at AADL, a personal friend, and a longtime supporter of arts in the Ann Arbor community! Can you describe your position and the work you do at AADL, in general? My title at AADL is Production Librarian. I work 8-16 hours on-desk/reference each week and the rest of my time is spent on projects and events. 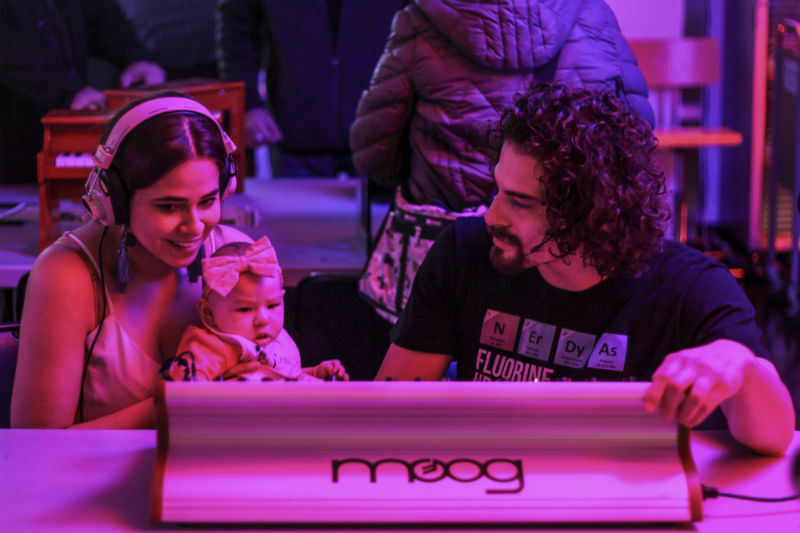 Some of those projects involve selection and collection maintenance (CD & LP collections), some of them involve programs (big events like A2 Synth Expo & Record Store Day), and working on smaller programs like staffing Letterpress Lab or coordinating the team who works on music-making related events year-round. During the summer, I work on the Summer Game and/or outreach initiatives (the pop-up “Library on the Lawn” we did with the University of Michigan at Summer Fest a few years ago is one example). What do you see as the role of the arts in the public library? I think that the arts (visual, musical, performing, literary) are naturally linked with our work as a public library. Obviously literary works are what first come to mind when folks think about us, but libraries have provided both a home for recorded versions of all of the above, inspiration for creating new work, and occasionally the opportunity to serve as a presenter and offer more space for both performance and facilitation of folks learning new creative skills. 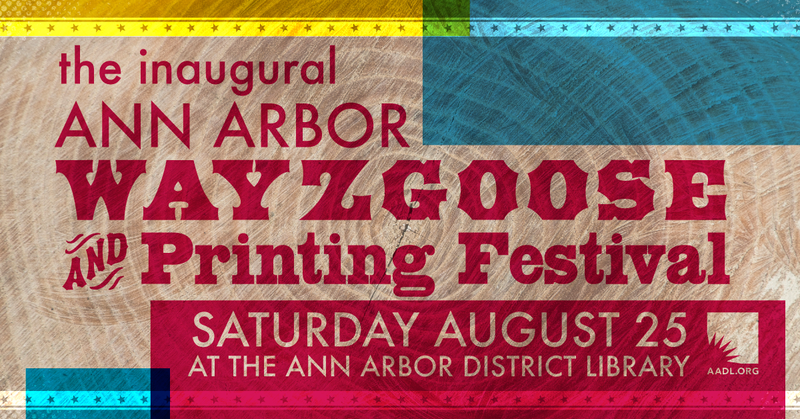 From displaying K-12 Ann Arbor Public Schools students’ artwork every year to hosting crochet groups to providing the equipment for folks to learn about letterpress, I see it as encouraging people to be active creators as well as consumers/readers/watchers of art/culture. I want to get people engaged in different ways! Can you highlight some of the arts-related programming that happens at the AADL? …and we have related year-round programming that ties in with each of these big events/interest areas. How did you get into doing this sort of work at AADL? When I went back to grad school I thought I was going to do health informatics or work with online communities, but towards the end of my first year, I started having SO many great conversations with LIS students, and realized that my arts administration background (working at a theater, an art museum, MA in AAdmin, doing DIY stuff) actually tied in really well to a lot of the programs and initiatives that were happening at forward-thinking libraries. I started diving deep into Library as Incubator and how artists of all stripes were using their libraries, in ways we knew and ways we didn’t (making collages for zines, etc). With this wider understanding, I added an LIS specialization to my degree, and got super super lucky that a few months after graduating, a position opened up at AADL. I was interviewing at all sort of jobs at all sorts of places, but really won the lottery. I’m lucky in that since the beginning, creativity and connecting the library to folks in new ways has been a key part of my position! I’ve been here 6.5 years now and there’s still lots more to do! Currently starting work on licensing films from the Ann Arbor Film Festival and building this local music collection. Do you have any suggestions or advice for public librarians/staff who may want to work on incorporating arts programming into their own libraries? Each library is really different in terms of resources and support from colleagues. I’d say that before even floating any ideas, it’s super important to sit back for a few months (maybe even more) and take a big view, not just of your own organization, but what other organizations in your community are already doing. Sometimes it works best to partner with other organizations to try something new, and use something smaller with a partner as a proof of concept. You don’t need to start with anything splashy. Even just new ways for people to interact with the collection (new styles of displays that connect to programs, etc) can be the seed to get things growing. Programming Librarian is a good resource, as is/was The Artist’s Library, but it’s also important to look outside libraryland at things like Nina K. Simon’s work. Look for unmet needs/wants or gaps in the community. Find fellow staff who are also excited about possibilities! Poster for an upcoming music concert at the AADL.